A Young Birder is any young person who is serious about birding, knows some birds, and is willing to learn. SFVAS conducts Young Birders Group walks to foster that learning, helping to create the next generation of birders. The world needs birders, to watch, to identify, to count and to speak out for protection of habitat. It's not work, though -- it's fun. Franklin Canyon Park rests on 605 acres near the center of Los Angeles between the San Fernando Valley and Beverly Hills. 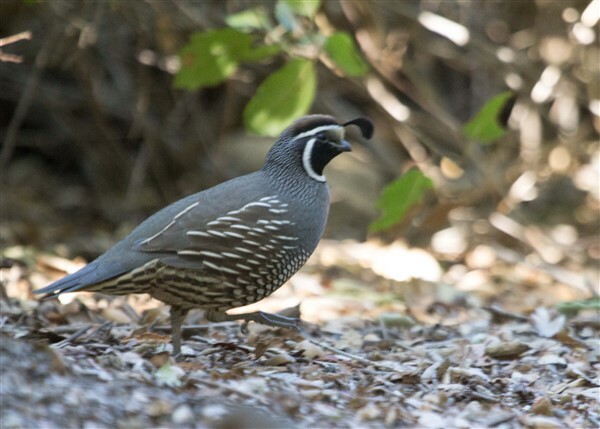 Within the park boundaries are chaparral, grasslands and oak woodlands, a three-acre lake, an ADA-accessible duck pond, expansive picnic grounds, and over five miles of hiking trails. 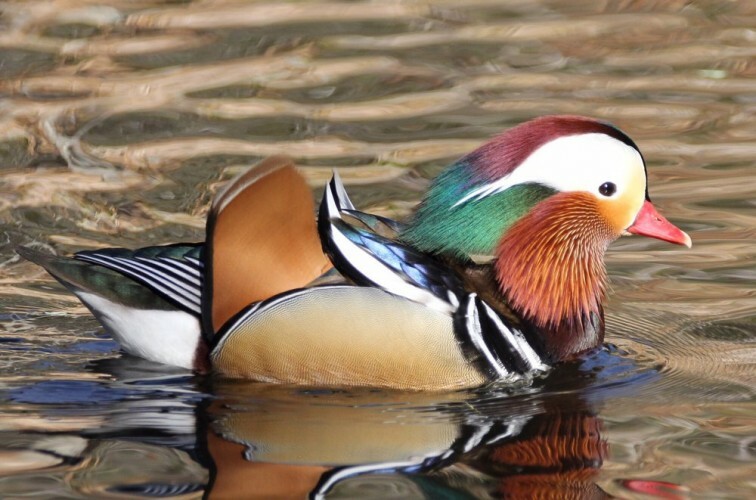 The lake and pond serve as permanent and seasonal home for birds in the Pacific flyway, including the spectacular Mandarin Duck to the right. Park features include the Sooky Goldman Nature Center, the Sam Goldman Amphitheater, and the Eugene and Michael Rosenfeld Auditorium. Directions: From the San Fernando Valley, take the Ventura Freeway (101) or Ventura Boulevard to Coldwater Canyon Boulevard. Head south to the intersection of Coldwater Canyon and Mulholland Drive. Make a 90-degree right turn onto Franklin Canyon Drive. (This means crossing Mulholland) Road signs read "Road Closed 800 Feet" "Sunset to Sunrise"; this is the park entrance. Meet in the parking lot on the left. Allow some extra time, as Coldwater Canyon can be a slow road. For more information please e-mail Rose Leibowitz at [email protected], or call (818) 990-5405.